When weight loss is your goals it’s easy to focus on just the number on the scales, but actually there are all sorts of signs your diet is working despite scale weight not budging much yet. In fact scale weight alone is a very poor way to assess progress as you’ll discover while reading this article. Especially for us women who have hormones that fluctuate throughout the month, changing the amount of water we hold on to. You can be heavier if you’ve not yet opened your bowels before jumping on the scales, and even if you’ve drunk a lot of fluids the day before. Eating more carbohydrates or salt will also make you hold on to water, even though this won’t lead to actual fat gain unless that’s also equated to a load of extra calories. So if you’re feeling disheartened that the numbers aren’t going down fast enough, see if you can make progress in some of these other areas instead. All progress is progress, and if weight loss if your goal then if you stick at the (right) plan for long enough the weight will definitely come off in time too. “I find it interesting that I don’t feel as tired today as I do normally. And excuse the TMI, my period started yesterday and I’m normally wiped out for the first few days so it’s an eye opener that I’m not today.” Exclaimed Julia after giving my Free 7 day plan a go. Too much sugar and poor quality food, not enough exercise, fresh air, drinking enough water and poor sleep make concentrating at work or on tasks difficult, and ‘brain fog’ is a massive problem these days when we have so much on our plate. But looking after yourself really can make a massive difference, no matter how busy life gets. “I’m starting to feel sooo much better and have a way less foggy head now.” Diedre found, once she started to eat well and prioritise regular healthy meals. “I’m finding I need fewer snacks these days and can go for longer between meals.” Says Annabelle, who came to me with terrible fluctuating blood sugar and energy levels, and sugar cravings that were off the charts. In fact fluctuating blood sugar (and resulting cravings and energy dips) is one of the most common issues I see with Mums, given we’re generally underslept, over stressed, and reach for quick sugary energy fixes to see us through. Correcting this means all the other pieces of the healthy eating puzzle are so much easier. You can be both over weight and hungry. High calorie but low protein, low fibre and low nutrient foods don’t fill you up. What typically happens is a person will try and lose weight by reducing portion sizes and skipping meals and snacks, but this only leads to more hunger, and falling off the wagon right into a chocolate cake or family bag of crisps is inevitable eventually. “I rarely snack now and never go hungry between meals.” Said Clare after being on my BodyBack programme for just a couple of months. 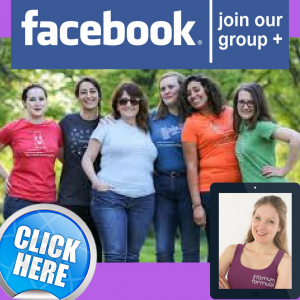 “At no point have I starved myself” said Emily, of the 21 Days to Fabulous Fit Mum plan she had amazing success with and ended up going on to lose over 16lb! Boredom, and the presumption that ‘diets’ are all about plain salads and endless fruit are enough to put anyone off starting a diet let alone sticking with it. Luckily once you learn how to put together meals that are healthy and tasty, as well as a bit of help with portion control, pretty much any food can be enjoyed while still getting you towards your weight loss goals. “This is soooo good, doesn’t feel like diet food!” – great feedback from Sue while doing my 7 day plan! Sometimes you’ve got all the motivation and determination you need, but you’re completely confused by all the contradicting stories and diet plans you’re told are ‘the best’ on a daily basis. “Knowing what snacks to eat is a big help, all these little tips are making a big difference.” Said Julie. Sometimes you just need someone you trust to turn to for answers, to clarify all the dietary nonsense you hear and to make things much easier and simpler to follow. This is often the case when engaging in resistance exercise alongside a healthy eating plan. Muscle is denser than fat, so you might be shrinking and burning fat but not getting any lighter as far as the scales are concerned. Using a tape measure instead of or alongside scales can be a better way to assess progress, or taking photos in your underwear or tight clothing. Or you may even see your clothes fitting differently or looser. “I can fit into jeans I wore before pregnancy.” Exclaimed Jacinta after doing my 21 Day Plan. 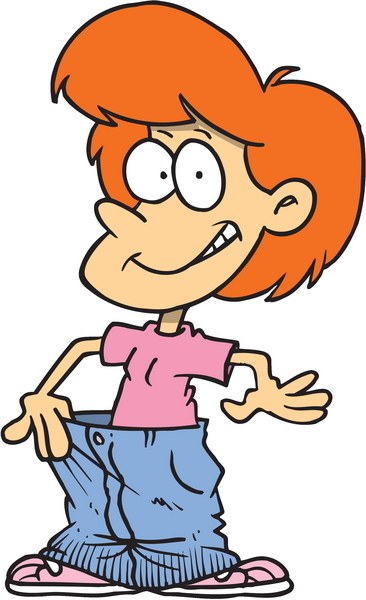 “I tried on a skirt I’d bought but was off limits….I can fit in it, my legs are shrinking!” Said Tanya after just one week of my 7 Day Plan. Don’t be disheartened if you haven’t dropped pounds really quickly, it takes time to see weight loss results in some cases, and often there are many other ways to make progress as you’ve read here, that are all fantastic. Consistency is key with any nutrition and exercise plan. It’s a cliché, but the best diet plan really is the one you can stick to.